We have always thought that the Modern Art Museum of Fort Worth is a treasure—and not just for Fort Worth but for all of Texas. The museum’s permanent collection is impressive in its own right but the building and grounds are some of the most amazing we’ve seen. If you haven’t been lately, don’t miss Vernon Fisher: K-Mart Conceptualism opening September 25. The new exhibition is a survey of the artist’s career to date, incorporating paintings, sculptures, and installations from the late 1970s to the present. Also, you’ll be doing yourself a great disservice if you don’t dine at the sublime Café Modern. For more information, call 817.738.9215 or visit themodern.org. If you possess equal parts love for yoga, music, and theme parties, we have the perfect way for you to spend your next Friday night. Check out Indigo Yoga’s Friday Night Funk class. You’ll get to practice your tree pose to the sounds of the ’70s, ’80s, and other off-the-wall themes that are sure to put a skip in your yoga step. For yoga novices like us, downward facing dog sounds more fun if we can sing along to the likes of Madonna and Michael Jackson. After class, partake in vegan treats that complement the themes. Friday Night Funk is every Friday from 6:30-7:30 p.m. at Indigo Yoga. 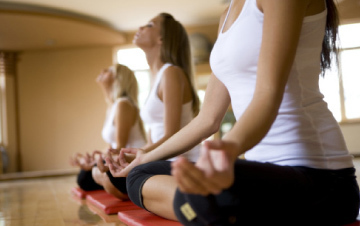 For more information, call 817.735.9642 or visit indigoyoga.net. We always look forward to Jazz By The Boulevard because it brings some of the best names in national, regional, and local jazz to Cowtown. This year’s line-up promises to be even better. 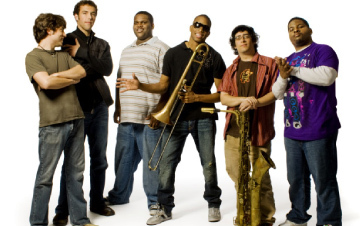 Don’t miss Shorty Trombone on Friday, September 10. Shorty is the red-hot new star who is a featured player on HBO’s acclaimed Treme series. 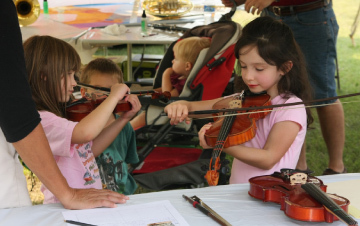 In addition to two stages of music and 18 bands, you can check out 60 fine arts and crafts artists and a Cooking Carnivale. Jazz By the Boulevard is presented by the Historic Camp Bowie Initiatives, a non-profit group dedicated to revitalizing historic Camp Bowie Boulevard. As a proud sponsor, follow Metroplex Cadillac dealers on Facebook for full event details. You’ll probably be famished after you’ve gotten your groove on at Jazz By The Boulevard. We suggest heading to Grace for a modern American meal in a super chic atmosphere. Executive chef Blaine Staniford is known for creating dishes that emphasize purity, simplicity, and seasonal flavors. We’ve heard that the crispy fried oyster appetizer will change your life. 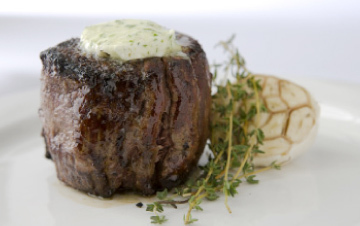 For the carnivores in your crowd, the Meyer Ranch all-natural beef filet is top notch. And if you worship wine like we do, keep your eyes peeled for special tasting events at Grace hosted by head sommelier Ryan Tedder. Proud participants of Restaurant Week this year, Cadillac is pleased to name Grace a Best of the Best restaurant in North Texas. For reservations, call 817.877.3388 or visit gracefortworth.com. Philanthropy Camp Bowie District, Inc. Courtesy: Camp Bowie District, Inc.
We love to support historic areas in North Texas by spending our hard-earned money eating, drinking, and shopping to support its preservation. The Camp Bowie District is a worthy stop. The nine-mile stretch on Fort Worth’s west side offers something for everyone. Not only does the district host Jazz By The Boulevard and the Camp Bowie Crawl, it is home to some of our favorite boutiques, restaurants, and parks. Our perfect day includes a stop at Head Over Heels for shoe shopping, lunch at Kincaid’s for one of the best burgers in Fort Worth, and a glass of bubbly at Winslow’s Wine Café. This month Jazz By The Boulevard proceeds will give back to the District and help preserve its heritage for the future. For move information, log on to fortworthjazz.com.